This topic contains 9 replies, has 8 voices, and was last updated by zurikashvili 3 years, 8 months ago. I’m Aries, n really dying for getting this hot cancer girl, but how can i built my relationship with her, becoz our trait is so different, fyi she have a future-boyfriend, he is pisces, i dont care bout that, because for me she can choose who she like. Now, I can only speak for myself, so take this with a grain of salt, but Cancers love to be swept off their feet. For me, personally, romance is something very fairy-tale like, and thoughtfullness and dreamy romanticism will never have too much value to a Cancer. Now, on a different note, we’re quite excellent at reading people, so if the only reason you want to be her boyfriend is because she’s a “hot cancer girl”, you’ve got another thing coming. what can i say more about she, other than a hot girl, she is my dream girl, i really love her , from the way she talk, walk and joke, i dont have any clue at this time, i dont even know does she like me or not, i know she about 6 month,she is my co-worker, i just fall in love at the first sight, i never feel like this, this is my first time. 5 month later, i admit to her how much i love her, because i can’t carry this feeling alone, from that day this girl just keep on quit everytime i meet her, she never see my eyes when we talk and used to do other thing everytime i talk to her. when i give something to her, she just take it and only say ‘thanks’. Once, i hold her hand and kiss it, and i say ‘ did you ever see the fullmoon, how the light make the moon seem so full, that same my love for you’. she just dont show any response.She always looks dont comfortable everytime i want walk, talk and make a joke for her, she keep on avoids me.But i keep on trying.when we do a work as a group she never make a conversation with me, she like to convers with other co-worker. i try hundred time to talk with her, but she just not interest. but what i’m realise,she only give a reaction when my phone is ringing, she quickly looking at me, and when i talk with other girl i can see her face really sour. when i treat her lunch, she always say ‘ no need to do this’ but when i treat her friend i can see she keep on take a deep breath, i try to learn about her, but i feel like i’m really lost. i’m aries i can’t live without friend and sosial life, if i talk and walk with other girls, doesnt mean i love them, i just confused now, how can i make she love me, i dont wanna give up easily, i’m not easy to fall in love, but i really falling with her,i thinks she better kill me than she try to leave me. Okay, I am a Cancer female and I seem to always meet Aries. I’ll help you out. I can understand how puzzling this girl may seem to you. In fact, I surprise myself when suddenly, when I know I’m being pursued by a man and I am tired of it, he’ll get attention from other women and I’ll suddenly feel jealous! 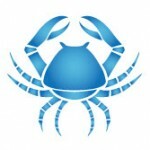 Cancers often show a tough exterior, but form dreamy (impractical) attachments without thinking about it. Attentions from others dictate our feelings about them. I can’t read this woman’s mind, but her ironic behaviour tells me she has formed a bit of an attachment to you. BUT, she will never admit it until she respects you. This is pretty general advice. You don’t have to be rude or demanding, but feel free to start avoiding looking and talking to HER, and start speaking to her super platonically. Control your desires and treat her like you expect more from her. You might want to “take a break” and make yourself scarce before talking to her again. Be mysterious and cool for awhile. Focus on the things that make YOU happy (Aries are great at that!) and after a few weeks of treating her less passionately, open up to her a little and tell her about some interesting things going on in your life. i’m boring n very boring with this cancer girl reaction..
a biggest gudbye from aries girl..
i’m not gonna pursue you anymore. Might be because she has liked you but could not leave her present bf for someone. Cancers are loyal creatures, they won’t dump someone for someone else. It doesn’t happen with Cancer women. Do you think Cancer is the most Popular Sign ?